In the annals of major league pranks, the “silent treatment” is a classic. When a batter hits an exciting home run, his teammates ignore him in the dugout, as if his feat was beneath their notice. Whoever invented the joke didn’t count on Juan Uribe. After the infielder clubbed his first long ball for the orange and black on June 9 in Phoenix, he danced along the bench waving his arms and shouting “Hallelujah!” Bengie Molina cracked a grin, Uribe grabbed Pablo Sandoval, and the other Giants had to join the wild celebration. With his spirited play and with his light heart, Uribe makes the Giants and their fans smile. In the same 9-4 win over Arizona, he managed to score on a botched suicide squeeze. Earlier in the road trip, Uribe cracked up the clubhouse with T-shirt sporting the words “Gun Show” and arrows pointing to his bulging biceps. A 30-year-old native of the Dominican Republic, Uribe learned to play baseball from his uncle, Jose Uribe, San Francisco’s popular shortstop from 1985 to 1992. Juan Uribe broke in as the Colorado Rockies shortstop in 2002 and was traded to the White Sox following the 2003 campaign. During the next two years in Chicago, he set career marks in batting average, home runs and RBI, helping the Sox win the World Series in 2005. Suffering a hamstring injury, Uribe played and produced less in 2008, leading Chicago to break ties. 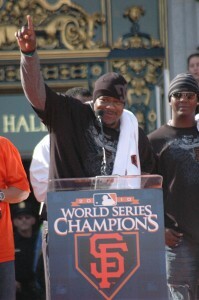 Instead, Uribe entered the Giants camp in 2009 without a contract. He’s been climbing the team’s depth chart ever since. With a strong spring, the unsigned veteran played his way into a job on the team’s 25-man roster, and spent most of April pinch-hitting and backing up the infield. When a strained elbow caused Sandoval to move from third base to first in May, the versatile Uribe has made the most of his chance to start at the hot corner and at shortstop. As the Giants fought through a painful losing streak and offensive drought in San Diego and Seattle, Uribe turned the tide with a bases-clearing double against the Mariners on May 23. Uribe played no small part in San Francisco’s hot streak that followed, like his clutch play on June 5 when the Giants had to wiggle out of a ninth-inning, bases-loaded jam. When Florida’s Jorge Cantu hit a ground ball toward the hole with trouble written all over it, Uribe made a terrific off-balance throw to first to clinch the one-run game. While hitting in every spot from second to ninth in the batting order, the handy Uribe has begun to show his extra-base power and improved his average to more than .300. For an infielder who’s mostly played shortstop, Uribe is happy to move around the diamond wherever the team needs him. Even as the skipper spoke in his office, Uribe celebrated a win at the clubhouse card table over Wilson, Sandoval and Edgar Renteria. “I won your money!” he sang, dancing around the room. “I’ll pay you in cheeseburgers… I’ll buy you a savings bond,” replies Wilson. Raucous laughter filled the room. On the night the Giants honored their 1989 National League championship club, Robby Thompson paid tribute to his longtime teammate and fallen friend. 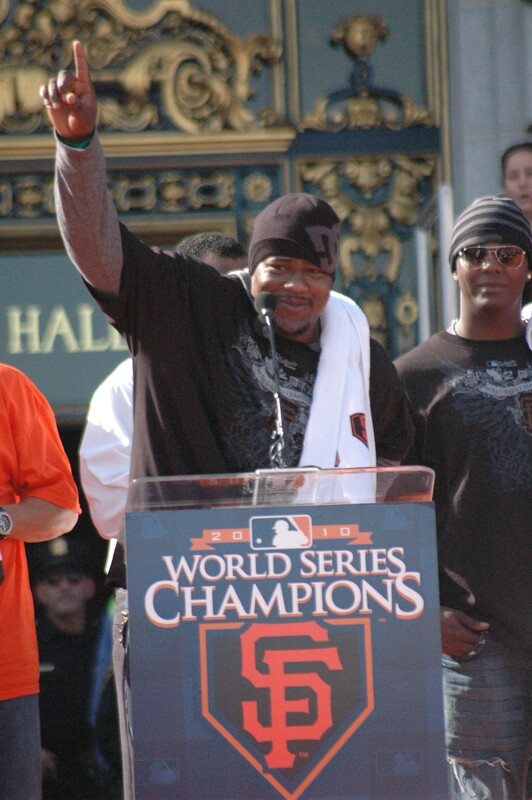 “Jose Uribe will always be remembered,” the former second baseman told the cheering crowd. Certainly Juan Uribe remembers his Uncle Jose, the former San Francisco shortstop who died tragically in a December 2006 car accident near his hometown of Palenque in the Dominican Republic. “From our town, the very first one to make it to the big leagues was my uncle,” Juan says. “My whole family was so proud. It was a big story. That showed the rest of the kids that if he did it, others could do it, too. As Juan has started adding to his family’s history in the community that adored his uncle, fans who remember Jose have revived a favorite Candlestick chant in his honor: “Ooo… REEBAY!” The cheer makes Jose’s nephew smile. “I’m very happy to know that they support me, and that they remember my uncle,” says Juan.